Mexico City is the capital and largest city in Mexico. It is also one of the most populous and polluted cities in the world. 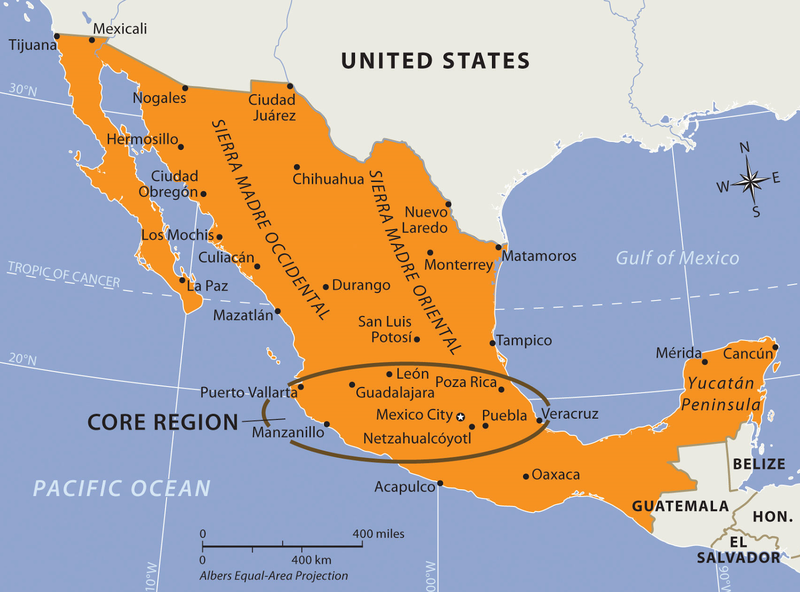 The Aztec people were here before the Spanish came and made Mexico City. It was founded in 1521 by Hernán Cortés. Today, about 8.5 million people live in the city, and about 21.2 million live in the Greater Mexico City urban area. The city of Mexico City ceased to exist in 1928. Since then, there is only the Federal District. Mexico City has 21.2 million people. It is the city with the second highest number of people in the world after Tokyo in Japan and just slightly more populated than Mumbai in India. Mexico City is a primate city. A primate city is the leading city in its country or region, disproportionately larger than any others in the urban hierarchy.A primate city is number one in its country in most aspects, like politics, economy, media, culture and universities.